It's a bird, it's a plane... no it's Phoebe! Grant & Phoebe have been excitedly planning a visit to the Vancouver Fan Expo this coming weekend. This meant Phoebe needed a cool costume. She of course was more than capable of creating her own and opted for a steampunk design. A long coat, vest and top hat made up the bulk of the costume. 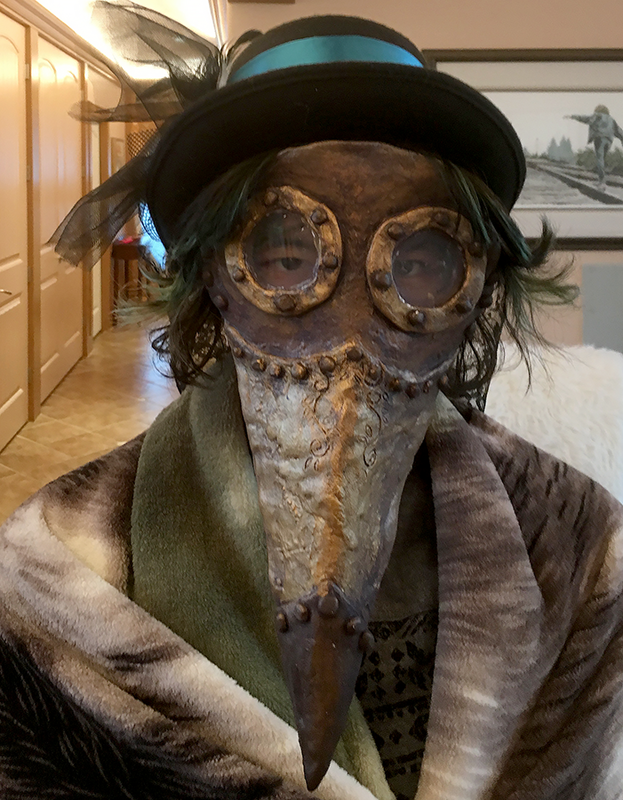 The mask was scratch built by Phoebe from paper mâché and sculpting epoxy. Grandma sewed up the head harness to keep the mask comfortably in position under the watchful eye of Phoebe.